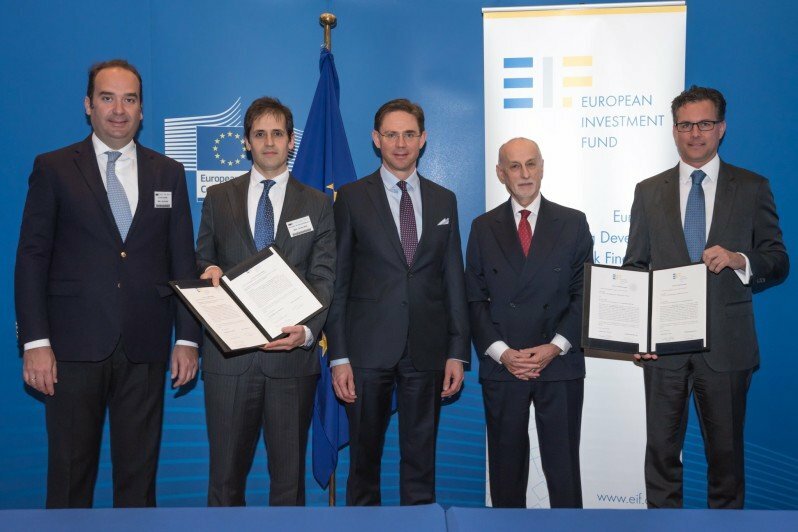 The European Commission and the European Investment Fund have announced a new pan-European venture capital funds-of-funds programme that will raise €2.1 billion in total to invest in VC funds around Europe. VentureEU will be made up of six funds. To date, the EU has pumped €410 million into this programme with a total target of €2.1 billion. The remaining capital for VentureEU will be raised from independent investors, the Commission said in a statement. The Commission and EIF believe this will lead to around €6.5 billion worth of new investments in companies. The six chosen funds will invest in several venture capital funds around Europe that back startups and SMEs in tech, digital services, medical technologies, life sciences, and energy. This will benefit around 1,500 startups and scaleups. These six funds are: Aberdeen Standard Investments, Axon Partners Group, Isomer Capital, LGT, Lombard Odier Asset Management, and Schroder Adveq. They were chosen through an application process last year. The first investments in investee funds will be within the next year or two, once fundraising for all six funds has been completed. The EU’s €410 million investment is made up of €200 million from the Horizon 2020 innovation programme, €105 million from the COSME programme for small and medium-sized businesses, and €105 million from the European Investment Fund via the Juncker Plan. “With VentureEU, Europe’s many innovative entrepreneurs will soon get the investment they need to innovate and grow into global success stories and most importantly – employers,” commented Jyrki Katainen, Commission Vice-President responsible for Jobs, Growth, Investment and Competitiveness. “VentureEU will increase the amount and average size of venture capital funds. It will help our high-potential startups stay and grow in Europe, taking full advantage of the Single Market,” added Elżbieta Bieńkowska, Commissioner for Internal Market, Industry, Entrepreneurship and SMEs. Venture capital in Europe is considered underdeveloped. According to figures from the European Commission, VCs invested around €6.5 billion around Europe in 2016 (to be fair, we tracked more than €16 billion in investments that year, albeit including Turkey, Russia and Israel), which comes in stark contrast to the €39.4 billion in the US. 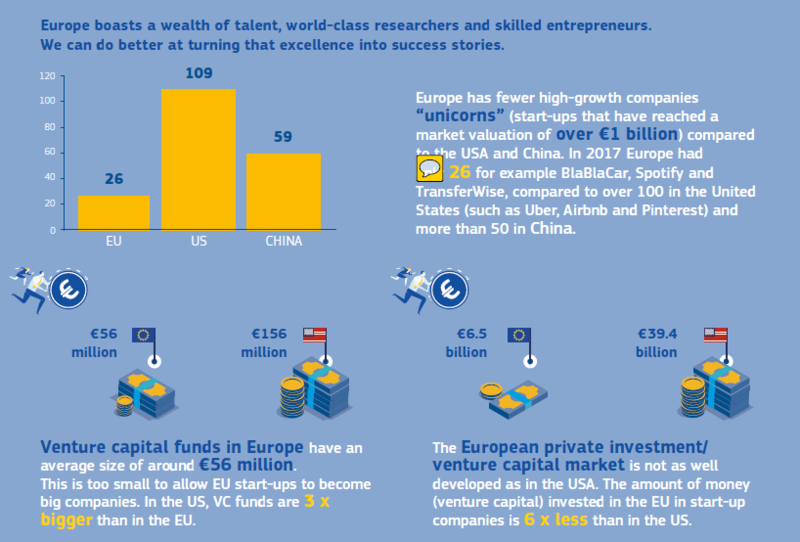 Meanwhile the average VC fund in Europe is around €65 million compared to €156 million in the US, which has led to more entrepreneurs and startups following the money to the US rather than staying in Europe. “For the last eight years, Invest Europe has advocated using public money in new ways to bring in more private capital and facilitate the next stage of venture capital’s evolution in Europe,” said Michael Collins, CEO of Invest Europe, the non-profit association representing European private equity and venture capital funds. “It is a great step forward for investment in European innovation that this is now becoming a reality,” he added in a statement.